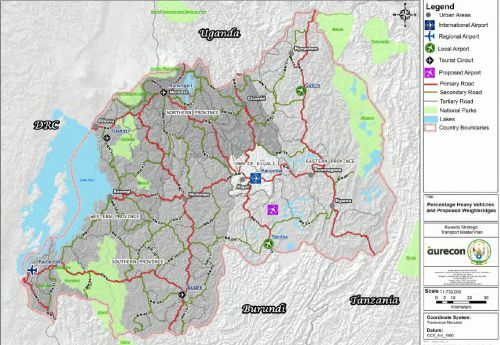 Submitted by Aurecon South Africa to Rwanda Transport Development Agency, this final report explains how Rwanda can build an efficient transport network, in the future. the aim of Rwanda is to become a Hub in Africa. The current Kigali Intenational Airport, which can't be extended, could be used as an Air Force Base and probably for some Governement and VIP flights, when the New Bugesera International Airport will be available. The East African Community (EAC) has proposed to Rwanda to set up an Airport Classification System (based on FAA and ICAO), which can classify airports depending some critera such as the function of airport (cargo per example), or the level of trafic. The governement were able to see that, the possibility to build a small airstrip in the karongi distict (Western Province). 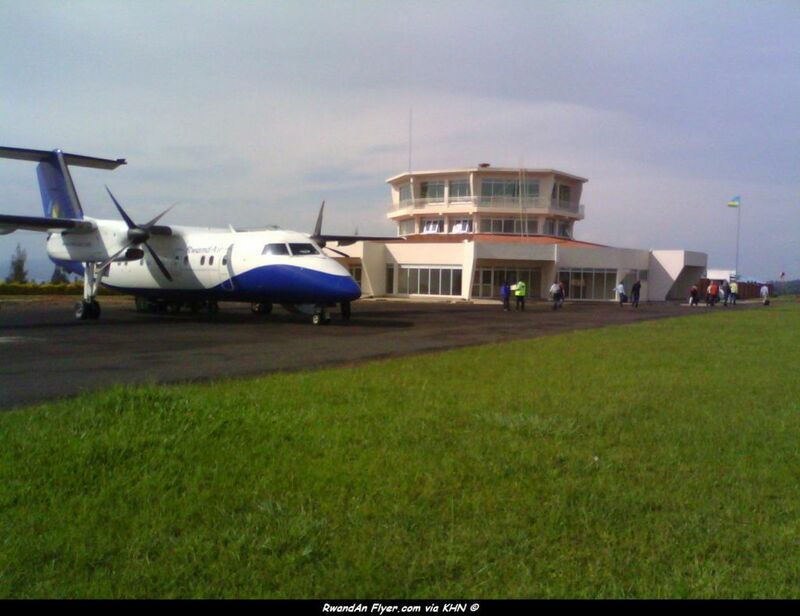 * : Gisenyi, Ruhengeri, Nemba and Gabiro, could be classified as Regional Airports, if they grow dramaticly. 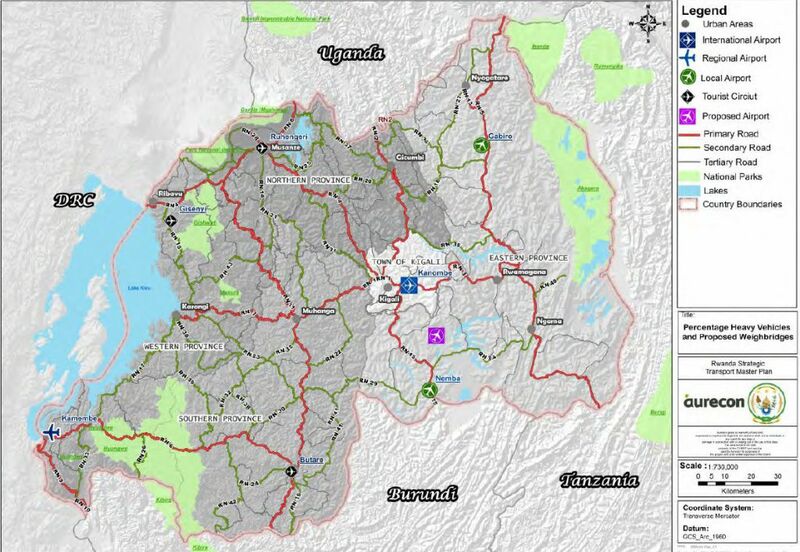 ** : the governement plans to built a small airstrip at Karongi. ICAO Annexure 14 – Aerodromes. actions undertaken where required (and feasible). The governement plans also to built a train station at the New Bugesera International Airport, to link the Airport to Kigali City. A Shuttle Bus Service linking the Airport to Kigali City will be created. Kamembe International Airport will be also upragded. 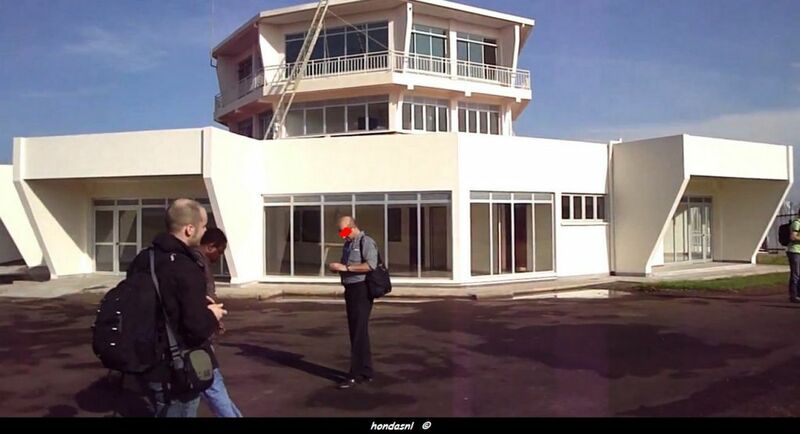 A new terminal has just opened and the runaway will be extended, to handle bigger aircraft. 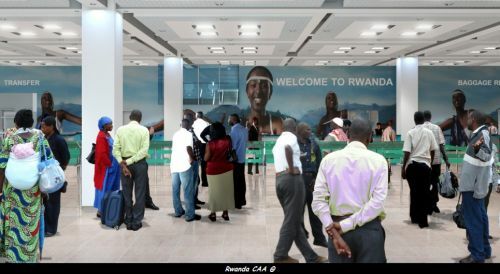 Kamembe could be used as second gateway in Rwanda. In order to suceed in this mission, Rwanda will have to invest in human and infrastructure capacity. For example, RwandAir hires many expratriates workforces, mainly from USA or Europe (pilots, engineers,....), due to the shortage of qualified personnal staff, in Rwanda. The final report says, there is also a shortage of qualified personnal for Air Traffic Controllers, Air Worthiness Inspectors, Flight Operations Operators and Technical personnel. RCAA will have also review its Civil Aviation Authority governance. No legal frame work to attract public and private sector investment in air transport activities. 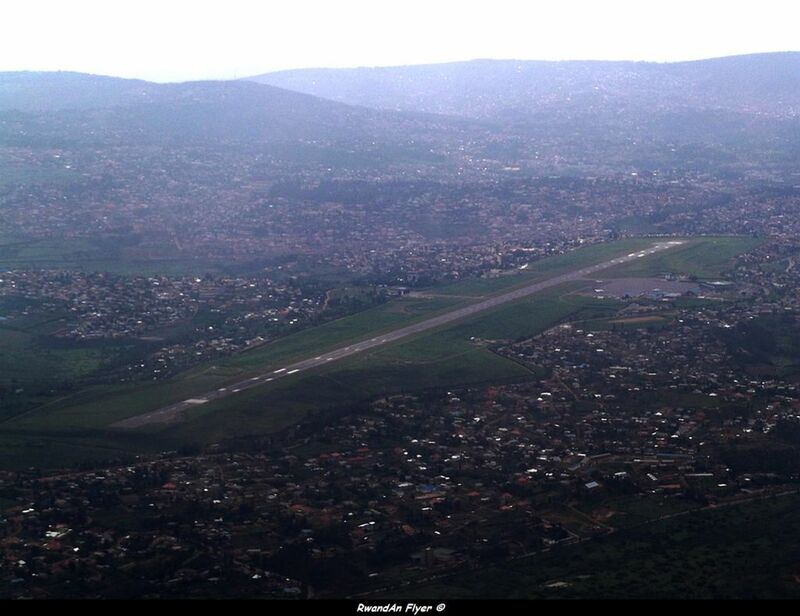 The Rwanda Civil Aviation with the help of SITA, has recently installed a D-ATIS system at Kigali International Airport. 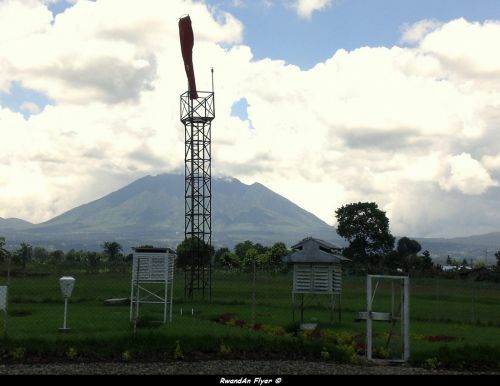 Both Kamembe and Gisenyi will be equiped with new Meteorlogical System, this year. 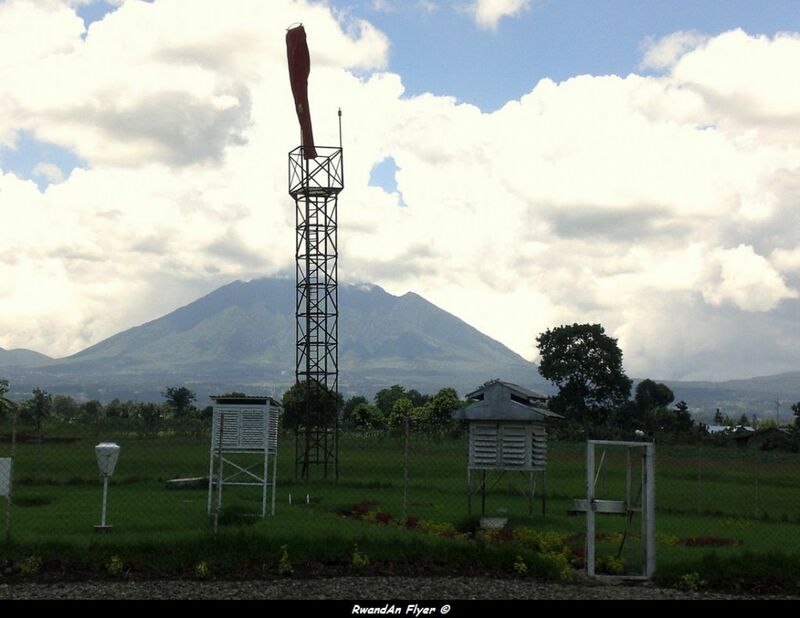 More systems will be installed to meet ICAO requirements. 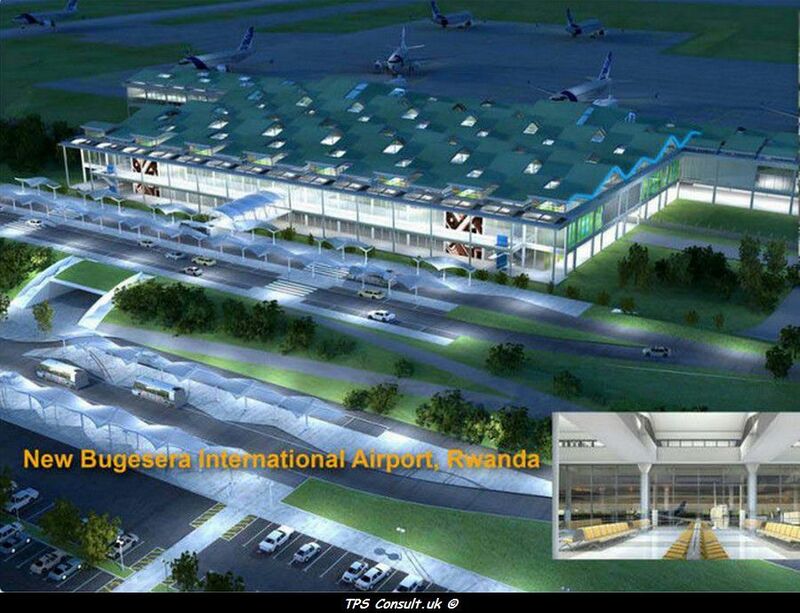 Aurecon recommends to Rwanda, that the New Bugesera International Airport takes the current and future planning of ANS infrastructure into account, in accordance with the AFI-RAN requirements. EAC plans to create a single sky, in a near future. 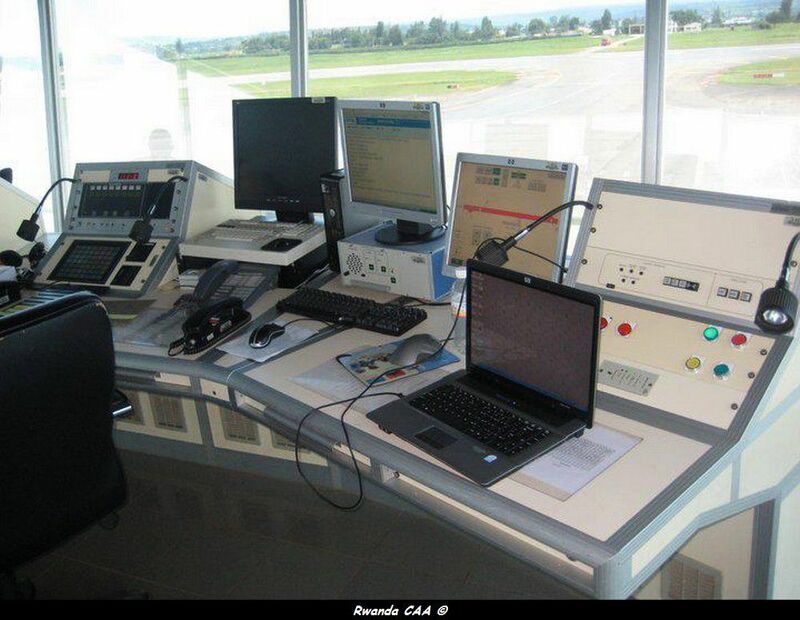 Rwanda will host a Regional Air Traffic Center, in coming years.